A couple of weeks ago, the Barn’s longtime neighbor and dear friend Debby Holden moved out of the lot containing the upper barn and white house adjacent to the Red Barn’s property. Ms. Debby will be sorely missed by everyone at the Barn, as she helped us out in so many different ways and always wore a contagious smile when around our staff, students, and volunteers. We’ve relied heavily on Debby over the years, whether it was through her checking in on sick horses on late nights so none of our staff members had to spend a night away from home, or through being willing to show her national championship winning horses to visitors at Bluegrass & Burgers. We wish her the best of luck as she settles into her new home. Thank you for all that you have done for us and please remember that you will always be a part of the Red Barn family Ms. Debby! Though we have a near impossible void to replace with Debby’s departure, we are excited to announce that the Red Barn will be expanding into the barn and house from her former property. The upper barn will mostly be used for horses either on trial to become a program horse or that prefer to be used in ground lessons. The house will be converted into a larger office space, which we have desperately needed as our programs and staff have expanded in size over the years. All renovations to both the barn and the house are being covered at no expense to the Red Barn. This is the start of a new chapter in the Red Barn’s story. With every parting comes a new beginning. 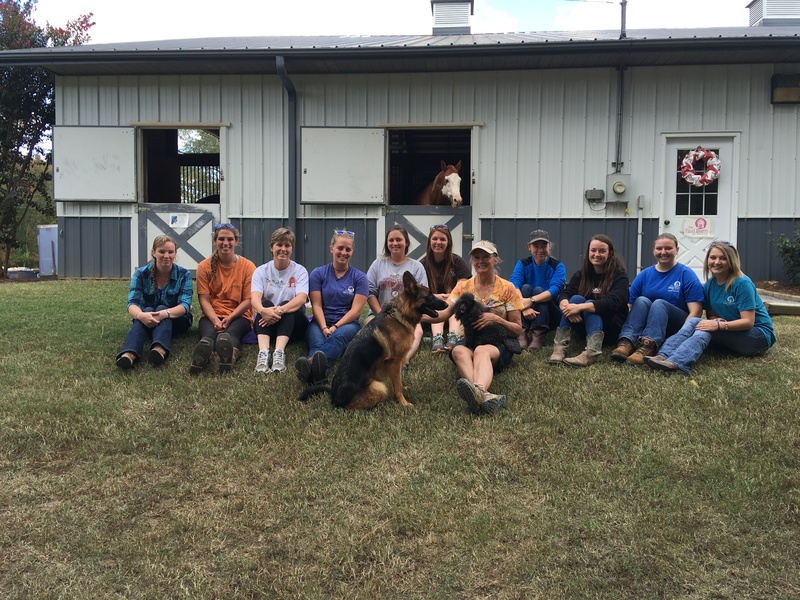 We’re happy that the Barn has the opportunity to continue to grow as an organization. And every parting need not last forever. We know we will see Ms. Debby around in the future, as she is and always will be a part of the Barn. Her story and ours have intermingled and will forever be connected. Dear, dear Red Barn, I am moved beyond words by all the kind things Connor has said. I truly love the mission of Red Barn. The work done here is immeasurable for all the people affected and helped by the Staff and Volunteers. I’m always willing to help in any way possible and consider it an Honor to be involved with the Red Barn Family. I know God has blessed us all with your success and happiness as this great work continues and expands. Debby is a true gift to this world and to the many horses and people she has served. We are all blessed to know and love her.